You'll love the charm of this super cute updated ranch with additional 990 sq ft unfinished basement. This home is beautiful inside and out with gorgeous wood floors, new vinyl tilt-in windows and exterior storm doors, a smooth top range with double oven and a fenced lot cul-de-sac lot that backs to green space. Conveniently located to Northland amenities and in the Park Hill school district priced under $170K! This home will be love at first sight. I29, W on NW 72nd Street, S on N Montrose, to NW 70th Terr which turns into N Fisk Ave, home on right at end of cul-de-sac. Kansas City is located in Missouri. Kansas City, Missouri 64151 has a population of 475,378. The median household income in Kansas City, Missouri 64151 is $45,376. The median household income for the surrounding county is $68,638 compared to the national median of $53,482. The median age of people living in Kansas City 64151 is 35 years. 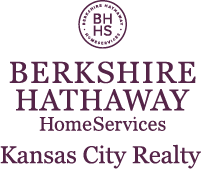 I am interested in 7009 N Fisk Avenue, Kansas City, MO 64151.